Kelle brings a multitude of experience and knowledge to her role in residential and project sales having previously worked in a busy Solicitors office in Sydney's eastern suburbs whilst studying a Bachelor of Law, she has the knowledge and the qualifications behind her to provide the best possible service and advice to her clients. 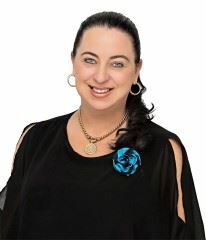 Kelle understands that selling and or buying a property is probably one of the biggest and most stressful times in ones life, and prides herself on being able to supply the right information and resources to make the situation as stress free as possible. Very competitive by nature and determined to achieve the goals she sets her self, and equally determined to maintain a positive attitude, with her limitless energy and commitment to providing an honest, professional and ethical service. A great success rate and track record Kelle has been acknowledged with numerous industry awards over the years in achieving the best possible price in the shortest amount of time. Having streamlined systems and developed industry precedents, this allows Kelle the luxury of balancing her work and her family by implementing techniques that allow her the time to dedicate to getting the job done every time.